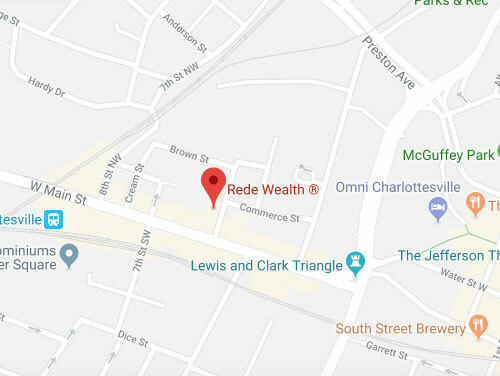 Rede Wealth will be moving to 609 W. Main Street, Charlottesville, VA 22903 on December 4, 2015. You can view additional photos of our new home on Instagram. Rede Wealth will be moving to 609 West Main Street. Monday, May 25, 2015: We will be closed during normal business hours. US Markets: The equity and option markets will be closed in observance of Memorial Day. There will be no Pre-Market or After Hours trading sessions. All US Fixed income markets also have a full day close in observance of Memorial Day.